Reviewing the 2016 edition of Vietnam – Culture Smart! In the recently released eighth edition of the HSBC Expat Explorer survey, Vietnam placed 25th overall out of 39 popular expat destinations based on economics, experience and family, according to responses collected from almost 22,000 expats across the world. Vietnam ranked highest (2nd) for the ease of making friends and socializing and scored well for savings and having disposable income, but bottomed out in regards to health and childcare quality. Specifically, though, when it came to quality of life, respondents put Vietnam almost at the bottom of the list, at number 33. 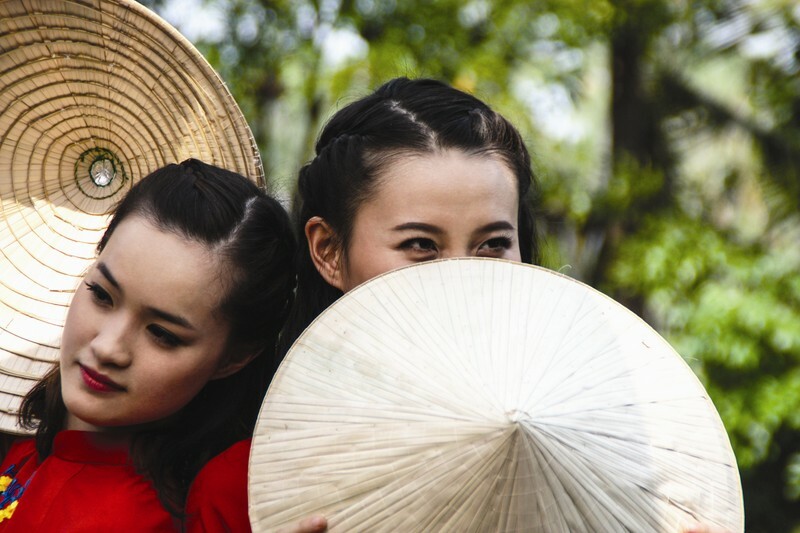 Glance through any expat forum and you get the sense that for every one person in love with Vietnam, there are five others who wax vitriolic about how difficult, backwards or confusing Vietnam and its people can be. For those determined to make Vietnam their home, though, it often takes months or more likely years to break through the bamboo curtain of cultural differences to get to a point of mutual acceptance, or at least understanding. 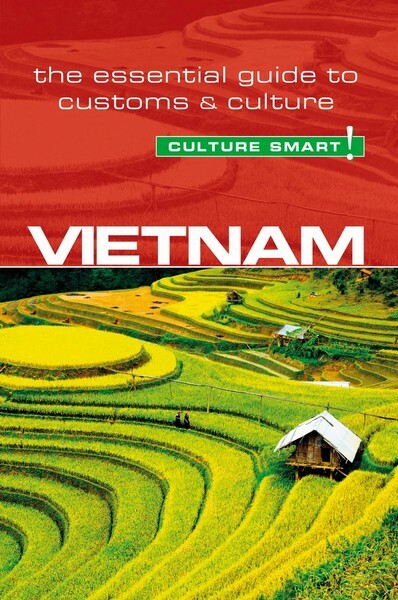 This month, the 2006 version of Vietnam — Culture Smart! The Essential Guide to Customs & Culture is getting a long overdue update. Written by Geoffrey Murray, a former Australian army war correspondent and current freelance book and magazine editor for the Chinese government, Vietnam — Culture Smart! is part guidebook, part etiquette manual on Vietnam. The book begins with chapters giving an overview of Vietnam’s history and people. “Kind and generally helpful toward strangers, [the Vietnamese] are industrious, determined to improve their living standards, relatively honest, but always ready to seize any advantage that might come their way,” Murray states in the introduction. While written for newbies to the country, the first few chapters contain interesting tidbits, such as the origins of the Viet people as determined by etymologists and anthropologists. “The Viets were a race known since antiquity as a migratory, hunting people, perpetually moving and spreading beyond their frontiers of origin, carrying bow and arrow, axe and javelin,” Murray writes of the Mandarin ideogram for “Viet”, conveying “to run” with elements signifying a lance or javelin. But it’s Murray’s analysis of the Vietnamese psyche that expats will find most interesting. “The Vietnamese are a people who place great emphasis on relationships radiating out from a central family core; protecting the family honor and avoiding the loss of face accompany a sense of modesty and decorum in all public dealings,” begins the chapter on Values and Attitudes. He further discusses the enigmatic and eternal source of expat frustration: the Vietnamese smile which often is the “direct opposite of what it normally indicates in the West.” Most of us have probably had an experience somewhere in our early days where a seemingly inappropriately timed Vietnamese smile only served to worsen an already aggravating situation. The “Business Briefing” chapter also touches on the Vietnamese smile as a way to mask the fact that someone may simply not understand something that was said. Murray discourages confronting the issue directly, but instead apologizing for being unclear and trying to explain it in a different way, while avoiding any showing of irritation or anger. Indeed, while some of the new numbers are interesting (eg. 115.3 percent of households own a motorbike, from a 2014 survey), the update falls short of re- writing certain broad statements that are obviously no longer true, for example: “officially, tipping is not allowed”, “there are no highway service stations” or “there are no crosswalks in Vietnam.” The book also paints Vietnamese beliefs with a broad stroke, failing to distinguish what beliefs may now only apply to rural Vietnam versus the increasingly Westernized cities. Admittedly, though, in a country as dynamic and varied as Vietnam, to accurately portray the Vietnamese mind would require a scope far beyond the book’s 168 pages. On the eve of the release of the new edition (January 7, 2016), Oi spoke to author Geoffrey Murray. After my war reporting assignment ended, I felt I knew so little about the country and so I set out to remedy that deficiency. I read everything I could find on Vietnamese history and on the war. My chance to revisit came in 1996 when a UK publisher who had handled my book on doing business with China asked me to do the same for Vietnam. Again, I did a lot of preparatory reading and then conducted numerous interviews with officials and business people. A lot has changed about Vietnam since your writing the book in 2006. What is the biggest challenge in writing about a country that is changing as quickly as Vietnam? You highlight a very unfortunate fact. When Kuperard wanted to publish a fresh edition of the book, they couldn’t find me and so asked an official in the Vietnam Embassy in London to help. She simply updated some statistics, but did nothing else. It’s not surprising that some things are out of date but I hope this is outweighed by the general theme of an ancient proud country full of dynamism and potential. As you say, it’s changing fast and an author always risks being out of date. The business book, for example, was ruined by a financial crisis hitting Asia that nobody could have foreseen. What Asian nation do you think Vietnam will most resemble, businesswise in 10 years’ time? Do you agree with the “younger brother” analogy — Vietnam as a country forced to display tenacity and attention seeking as a result of being pushed around by a much bigger northern neighbor? I quite like the ‘younger brother’ analogy, reflecting the feisty character that enabled Vietnam to endure prolonged war and almost total destruction and recover in such a remarkable way. In the 1960s, despite the war, I felt it was a beautiful country with vast potential and that has proved true. With innovative policies, the government is creating a country that will stand out in Asia in the years to come, especially through entities like ASEAN and APEC. I see some of the best features of Japan’s economic boom in the 1960s and 1970s, and Singapore’s many achievements over the decades, as being mirrored in Vietnam. The spirit to win in the war years still seems present. Tourism numbers indicate many foreign visitors may come once to Vietnam and never again. What would you like to see changed to make Vietnam a more visitor- friendly destination? I am aware of some of the negative publicity generated by visitors’ bad experiences. I am sorry about this as I think Vietnam has the conditions to be one of the world’s great tourist destinations. It’s an expensive place to visit and if you add in the scams etc. then you won’t get people coming back. The tourist industry needs an overhaul and creation of a strict code of conduct plus education to make people realize bad behavior is self defeating. Vietnam remains the country that has played a huge role in my life, with memories undimmed by time. I really want to see it prosper and wish the Vietnamese people every success. Gifts for brides and grooms are usually given in pairs, including blankets. A single item indicates that the marriage is not expected to last long. Two cheaper items will be accepted with more pleasure than one expensive one. Don’t express lavish admiration for a new baby, because the devils might hear you and steal the child because of its desirability. Mirrors are often placed on front doors. If a dragon tries to get in, he will see his reflection and think that there is already a dragon there, and will go away. Single bowls of rice and chopsticks should not be served. Always place at least two on a table. One bowl is for the dead. Do not pass food from your chopsticks to those held by someone else — this is part of the funeral ritual.